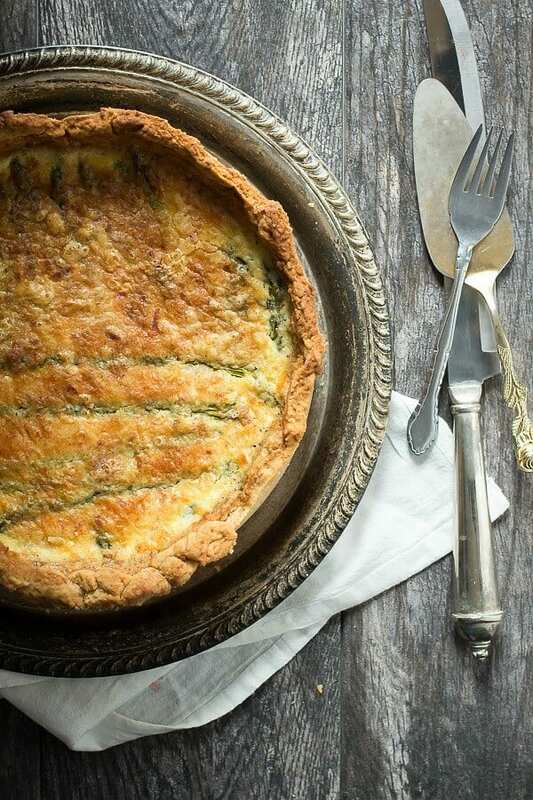 Have you always believed that a quiche is really just a fancy egg tart? I’ll try my best to change your mind with this deep dish Asparagus Quiche, I’d definitely label this one in the pie category. Usually I’d make a quiche using a thin tart pan but this time I used a cheesecake pan and i think I’m forever changed! 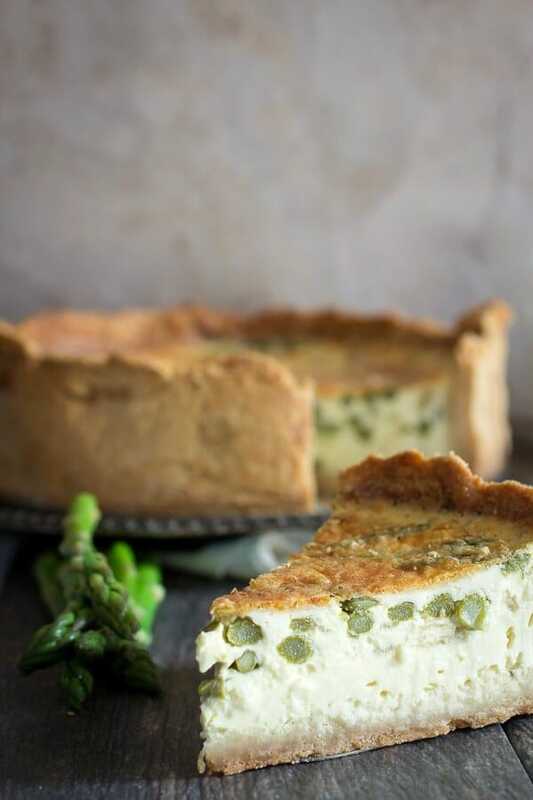 This quiche is full of caramelized onions, asparagus and crumbled Cacique Ranchero Queso Fresco. The cheese gives it a mild salty flavor and keeps the inside super creamy, It literally melts in your mouth pinky promise. 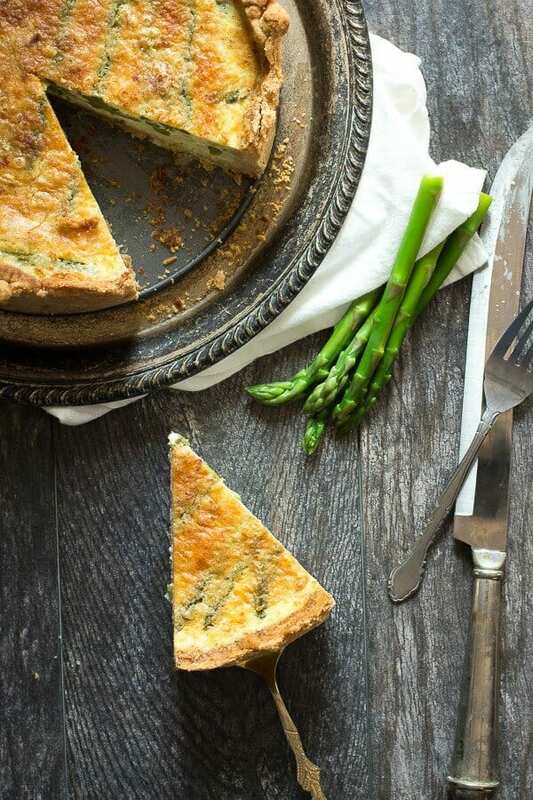 For the recipe and directions on how to create this mammoth asparagus quiche, head on over to the Cacique Inc blog and check out all of the other fantastic recipes! This post was sponsored by Cacique Inc. All opinions and thoughts are always my own. I never thought to use a cheesecake pan…what a great idea. I always though quiche were to fancy too. I thought they were hard and only restaurants could make them. But I was wrong and this looks breath taking delicious! Love the photographs too. Yum!! Pinned! This looks amazing and the photos are absolutely stunning. I love the height on this quiche and the fact that you added caramelized onions – my fave! This looks amazing! I think a cheesecake pan is the way to go, more quiche for you money (and more crust too). Now that I see it in a Sprinform pan, it looks like absolutely the way to go from now on!